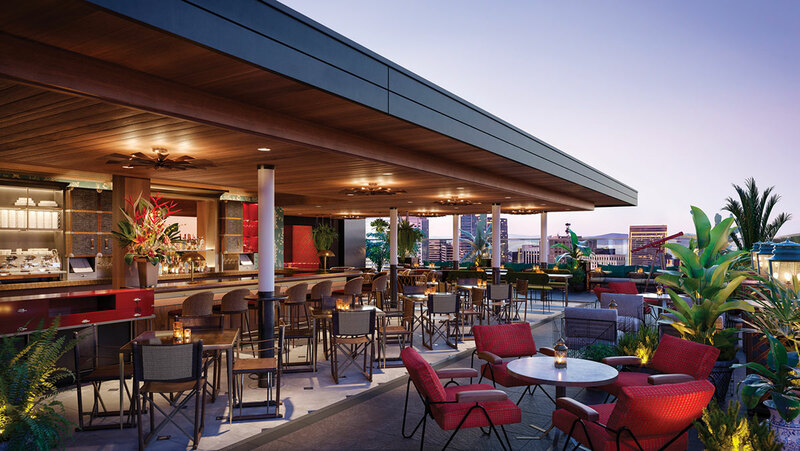 Architectural Dimensions was recently featured in the San Francisco Business Times as well as Bizbash for its involvement in the design-build construction of the Virgin Hotel conveniently located in the Soma (South of Market) district of beautiful San Francisco. The Virgin Hotel will consist of twelve stories, 78,000 ft2 and 196 rooms total, contrasting from what was once a two-story, over the basement office building. 4,265 ft2 of the ground floor will be home to a restaurant, bar, and retail shops while 1,600 ft2 will be dedicated to a roof top bar providing views of the stunning cityscape that downtown San Francisco has to offer. The façade is primarily made of glass with Kynar finished metal panels, stone, and cement plaster elements coinciding with the Virgin Hotels brand image. Vertical details and cantilevered ceilings give the building prominence and depth. The tall ground floor will create an inviting lobby and retail/restaurant bar space and will enhance the public area with a translucent glass canopy partially extending over the Fourth and Clementina Streets. The hotels, conference spaces, restaurants, cultural spaces, slated to open in San Francisco for events and entertaining this year. SAN FRANCISCO Looking for a new venue for your next event? Here are the most anticipated San Francisco restaurants, corporate event venues, hotels, conference centers, and party rooms slated to open in 2018. These new and renovated San Francisco venues will accommodate groups large or small for private and corporate events, conferences, meetings, weddings, business dinners, team building activities, cocktail parties, and more…. The 196-room Virgin Hotel at 250 Fourth St. near the Yerba Buena Gardens is slated for a 2018 delivery. The 196-room Virgin Hotel at 250 Fourth St. near the Yerba Buena Gardens is slated for a 2018 delivery, pushing SoMa’s stock of hotel rooms up as development in the area continues to pick up speed. The boutique hotel – Virgin Group’s second foray into the hospitality market — will include multiple dining and drinking venues, a coffee shop, meeting rooms and a rooftop bar.